Join the switch to a low chlorine pool. Used properly, chlorine is not noticeable in pool water. But chlorine is overused in virtually every pool! 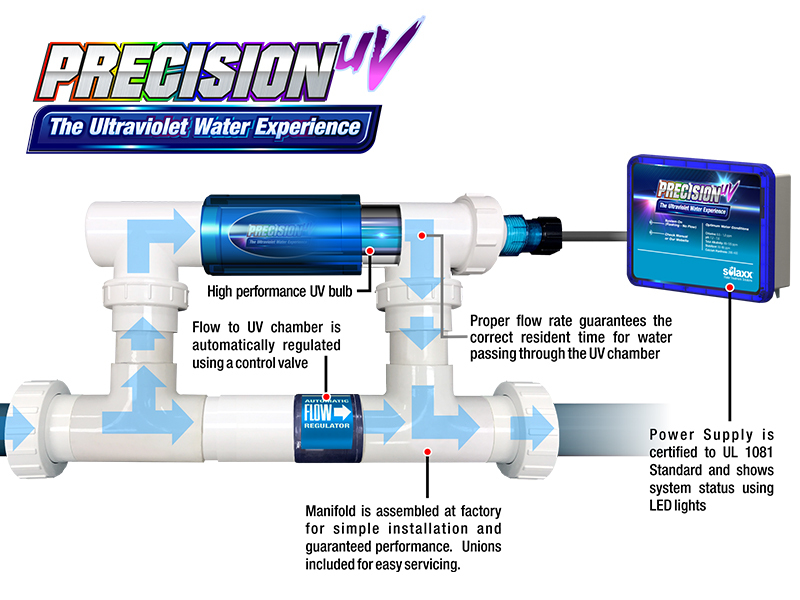 A precision UV System reduces chlorine use up to 80% (down to 0.5 ppm) by sterilizing water before it is returned to the pool, eliminating the need for high levels of chlorine.